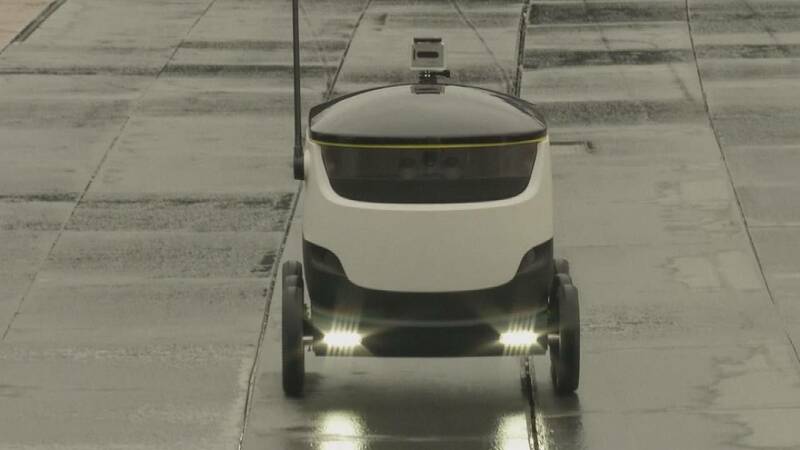 The Starship Enterprise, Starship Troopers now Starship Technologies, the company launched by the co-founders of Skype, is hosting trials of its self-driving delivery robots in Greenwich, London. The robot is designed for local distribution of goods and groceries. The robots use the pavement, travel at slow speeds and produce zero emissions. The machine is capable of carrying the equivalent of two grocery bags and can complete local deliveries within five to 30 minutes. Customers can choose from a selection of short, precise delivery slots, meaning goods arrive at a time that suits them. During delivery, shoppers can track the robot’s location in real time through a mobile app. Integrated navigation and obstacle avoidance software enables the robots to drive autonomously, but they are also overseen by human operators who can step in to ensure safety at all times.